After leaving the South as a young man and finding employment at an elite hotel in Washington, D.C., Cecil Gaines gets the opportunity of a lifetime when he is hired as a butler at the White House. Over the course of three decades, Cecil has a front-row seat to history and the inner workings of the Oval Office. However, his commitment to his “First Family” leads to tension at home, alienating his wife and causing conflict with his anti-establishment son. Born into poverty, Ernie Davis overcomes many obstacles to get into Syracuse University’s football program. Under the guidance of Coach Ben Schwartzwalder, Davis becomes one of the school’s best players, even surpassing Jim Brown’s achievements. In 1961 Davis becomes the first black player to win the Heisman Trophy, but there is one more obstacle in his life that he must overcome. The remarkable life of South African revolutionary, president and world icon Nelson Mandela takes center stage. Though he had humble beginnings as a herd boy in a rural village, Mandela became involved in the anti-apartheid movement and co-founded the African National Congress Youth League. His activities eventually led to his imprisonment on Robben Island from 1964 to 1990. In 1994, Mandela became the first president of democratic South Africa. When a group of civil rights workers goes missing in a small Mississippi town, FBI agents Alan Ward and Rupert Anderson are sent in to investigate. Local authorities refuse to cooperate with them, and the African American community is afraid to, precipitating a clash between the two agents over strategy. As the situation becomes more volatile, the direct approach is abandoned in favor of more aggressive, hard-line tactics. During World War II, members of the U.S. Army’s all-black division are stationed in the Tuscany region of Italy. Four of the soldiers become trapped behind enemy lines and separated from the rest of their unit after one of them risks his life to save an Italian boy. 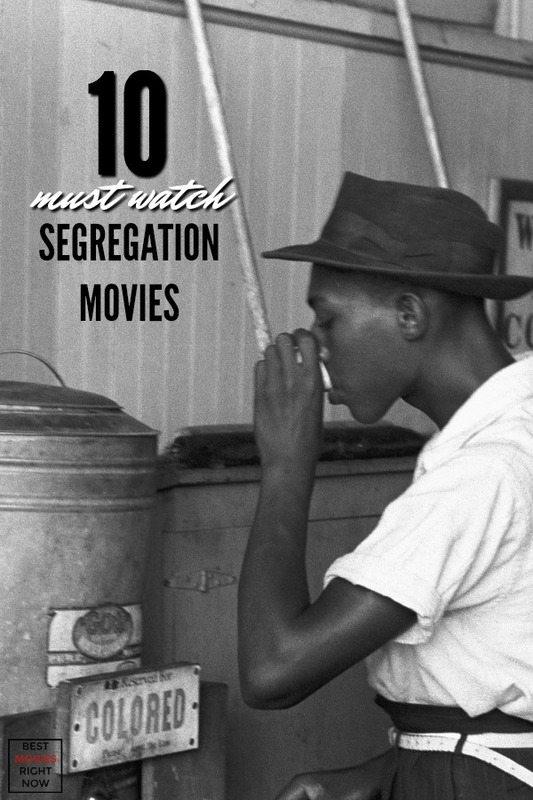 Have you seen any of these segregation movies?